Nei de súksesfolle útjeften fan dizze oersichtlike taalskiednis fan Fryslân yn it Frysk en yn it Nederlânsk, Fryslân lân fan talen, in skiednis is no ek in Ingelske oersetting ferskynd. The story of Frisian in multilingual Friesland is in tige lêsber en ryk yllustrearre útjefte oer de skiednis fan it Frysk: wêr’t it weikomt, hoe âld at it is en dat it yn de rin fan de iuwen aardich wat feroare is en noch hieltyd feroaret. Hoe’t it plak yn de maatskippij net altyd itselde wie en wat syn posysje yn de lêste iuw wurden is. Op 9 novimber 2017 wie it EBLT oanwêzich by it kongres fan it Network to Promote Linguistic Diversity (NPLD) en Centre Maurits Coppieters yn Brussel. 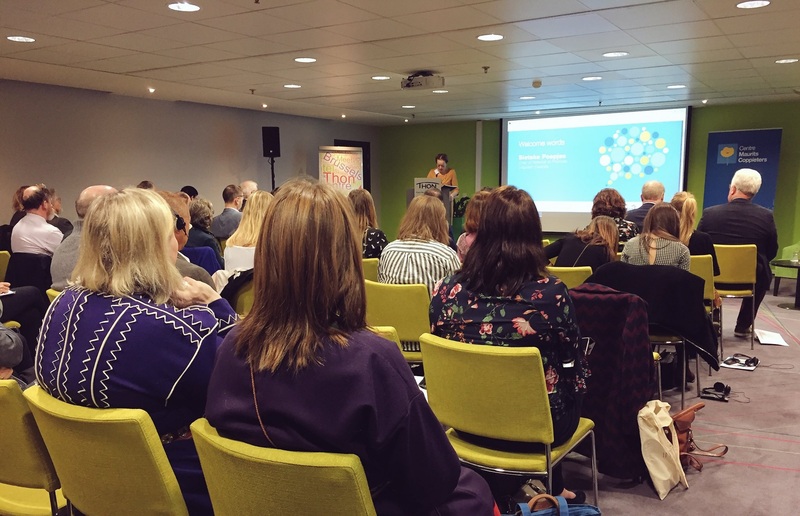 It tema fan it kongres wie “The Current Challenges for Minority Languages in today’s complex societies”, ferdield yn trije ûnderdielen, nammentlik migraasje en mobiliteit, ekonomy, en ûnderwiis. Yn it iepeningswurd fan presidint Sietske Poepjes neamde sy de Brexit en de situaasje yn Kataloanië. It docht bliken dat de belangen fan naasjesteaten noch hieltiid boppe dy fan de regio’s en de minderheden lizze. Neffens frou Poepjes is gjin ien taal wichtiger as de oare, en moat elkenien de eigen taalidentiteit binnen in naasje hâlde kinne. Se neamde ek it belang fan it Minority SafePack Initiative, dat noch hieltiid in soad hântekenings nedich hat. It inisjatyf kin hjir tekene wurde. Michael Teutsch, DG edukaasje, jongerein, sport en kultuer fan de Europeeske Kommisje, neamde de fokus op grinsregio’s foar de kommende jieren, en it ûntwikkeljen fan bettere learmetoades foar meartalige skoalklassen. On the occasion of the META-NET FORUM 2016 held in Lisbon, 4/5 th July 2016 the European Network to Promote Linguistic Diversity (NPLD) and the European Federation of National Institutions for Language (EFNIL) have written a joint position paper calling the European Union to reaffirm its commitment to linguistic diversity by ensuring that all the languages of Europe are able to benefit from the whole range of digital developments which now are taking place. The position paper is titled: “Use the technology or lose your language? Will new communication tools and welfare robots speak our languages!” and can be accessed here. 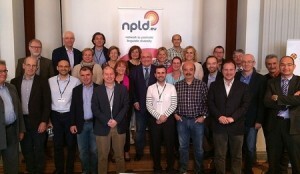 Patxi Baztarrika, Vice-Minister for Language Policy at the Basque Country and Alex Riemersma, from the Province of Friesland have been elected Chair and Vice-Chair of the NPLD. Mr. Baztarrika will occupy the post over the next 3 years while Mr. Riemersma will do so for the next couple of years. The NPLD’S Chair will be in charge of providing leadership to the NPLD as well as setting the priorities and action plans of the Network over the next few years. Patxi Baztarrika has emphasized the need to give a strong message to Europe and claim the vibrancy of Constitutional, Regional and Small-State languages. All the languages need to be included in the rhetoric of growth and jobs but languages are much more than that. They are closely linked to social cohesion, to the identity and values of people. Along the same lines, Mr. Baztarrika has insisted on the need is to work more closely with the European institutions but also to get to know more about each other’s linguistic realities, share best practices and make the case for lesser-used languages in Europe. 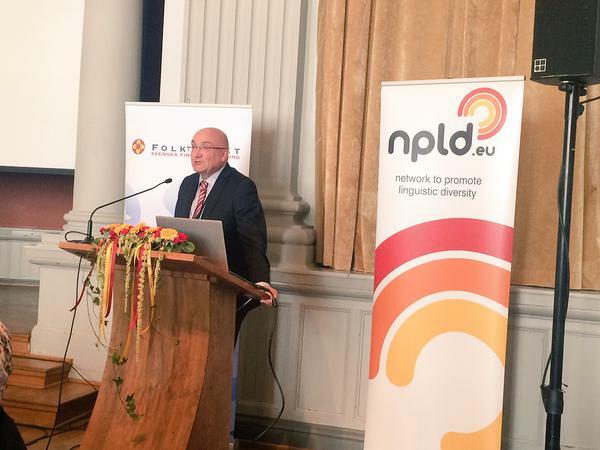 Within the framework of its Annual General meeting, and hosted by Folktinget, the Swedish Assembly of Finland, the NPLD has organized a Seminar aimed at exchanging best practices on language policy and planning across Europe. Under the title Language Encounters, participants have been able to discuss their initiatives on a wide range of issues such as language revitalization, immigrant integration, minority languages and the economy, immersion schooling in minority languages, bilingualism and multilingualism, among many other issues. Participants in the Seminar include a broad range of language communities in Europe, from the Basque language community in Navarre and the Basque Country, the Frisians community in the Netherlands, the Corsican, Breton and Occitan in France, the Welsh, the Swedish community of Finland or the Catalans, to name only a few. All members have acknowledged the usefulness of the Seminar as a practical way to learn more about the different examples taking place in the different part of Europe. This Seminar is part of the Annual NPLD’s General Assembly, in which a new NPLD Chair will be elected for the next 3 years. De Fryske taal moat better sichtber wurde yn de provinsje. Dat sei deputearre Jannewietske de Vries tongersdei op it kongres fan de NLPD (Network for the Promotion of Linguistic Diversity). De leden fan dizze Europeeske koepelferiening, dy’t de belangen fan streek- en minderheidstalen yn Europa behertiget, binne trije dagen lang yn Fryslân. Neffens De Vries is it Frysk no benammen in sprutsen taal, mar se wol dat it Frysk ek better op strjitte te sjen is. Projektdirekteur Oeds Westerhof fan Kulturele Haadstêd 2018 ûnderskriuwt dy winsk. It bestjoer fan de Fryske organisaasje EBLT (Europeesk Buro foar Lytse Talen) hat de deputearre dêrom tongersdei in boerd oanbean dêr’t sawol it Nederlânsk as it Frysk op brûkt wurde. Fan 4-6 juny wie de jierlikse General Assembly fan it Network to Promote Linguistic Diversity (NPLD), dêr’t deputearre Jannewietske de Vries foarsitter fan is. 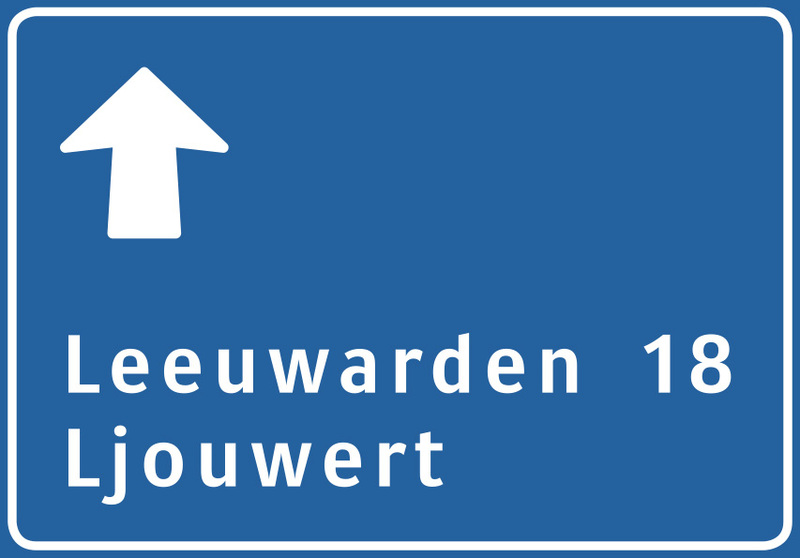 De GA wie diskear yn Ljouwert. De gearkomsten fûnen plak by Tryater en op it Provinsjehûs. It doel fan it NPLD is om op Europeesk nivo dúdlik te meitsjen hoe wichtich taaldiversiteit is. Fierder besiket de NPLD de útwikseling fan saneamde ‘best practices’ tusken beliedsmakkers, minsken út it wurkfjild, ûndersikers en eksperts yn hiel Europa te stimulearjen. It EBLT is, lykas Kennissintrum Mercator, lid fan it NPLD. Klik hjir foar in ympresje fan de GA en it NPLD. Op de jiergearkomste fan de Europeeske organisaasje Network for the Promotion of Linguistic Diversity NPLD hat it EBLT deputearre fan kultuer Jannewietske de Vries frege om de kommende jierren omtinken te jaan oan de sichtberens fan it Frysk yn Fryslân. It EBLT die dat troch frou De Vries, dy’t ek foarsitter fan it NPLD is, in foarbyld oan te bieden fan in twatalich ANWB-ferkearsboerd. 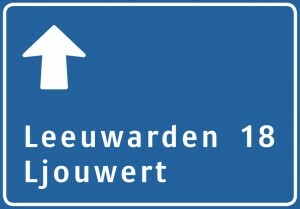 It EBLT hat okkerdeis besletten om fan de sichtberens fan it Frysk ien fan de prioriteiten foar de kommende jierren te meitsjen en is dwaande om hjir neiere plannen en foarstellen foar te ûntwikkeljen. Utgongspunt fan dy foarstellen is twataligens: brûk njonken it Nederlânsk ek it Frysk op bygelyks de ANWB-ferkearsboerden en op alle treinstasjons. De twataligens en it Frysk binne dan beide sichtber. Nederlânsktaligen en minsken fan bûten Fryslân, dy’t faak krekt aardichheid oan de twataligens hawwe, wurde dan net útsletten en beide talen komme sa better as no ta syn rjocht. Yn it ferline is der yn Fryslân gauris striid fierd omdat der in kar makke wurde moast tusken of Nederlânsk of Frysk, wêrtroch der altiten in groep is dy’t him achtersteld fielt. It EBLT wol dizze patstelling graach trochbrekke troch te pleitsjen foar in twatalige benadering.